The Spanish-American War (Spanish language: Guerra Hispano-Estadounidense , desastre del 98, Guerra Hispano-Cubana-Norteamericana or Guerra de Cuba ) was a military conflict between Spain and the United States that began in April 1898. Hostilities halted in August of that year, and the Treaty of Paris was signed in December. The war began after the American demand for Spain's peacefully resolving the Cuban fight for independence was rejected, though strong expansionist sentiment in the United States may have motivated the government to target Spain's remaining overseas territories: Cuba, Puerto Rico, the Philippines, Guam and the Caroline Islands. Riots in Havana by pro-Spanish "Voluntarios" gave the United States a reason to send in the warship USS Maine to indicate high national interest. Tension among the American people was raised because of the explosion of the USS Maine, and "yellow journalism" that accused Spain of extensive atrocities, agitating American public opinion. The war ended after decisive naval victories for the United States in the Philippines and Cuba. The Treaty of Paris ended the conflict 109 days after the outbreak of war giving the United States ownership of the former Spanish colonies of Puerto Rico, the Philippines and Guam. Baker, Benjamin F.Benjamin F. Baker Navy E-04 !Coxswain aboard the USS Nashville, Battle of Cienfuegos, Cuba 000000001898-05-11-0000May 11, 1898 For setting an example of extraordinary bravery and coolness under fire. Baker, Jr., Edward L.Edward L. Baker, Jr. Army E-09 !Sergeant Major Santiago, Cuba 000000001898-07-01-0000Jul 1, 1898 Left cover and, under fire, rescued a wounded comrade from drowning. Barrow, David D.David D. Barrow Navy E-03 !Seaman aboard the USS Nashville, Battle of Cienfuegos, Cuba 000000001898-05-11-0000May 11, 1898 For setting an example of extraordinary bravery and coolness under fire. Bell, DennisDennis Bell Army E-01 !Private Tayabacoa, Cuba 000000001898-06-30-0000Jun 30, 1898 Voluntarily went ashore in the face of the enemy and aided in the rescue of his wounded comrades; this after several previous attempts at rescue had been frustrated. Bennett, James H.James H. Bennett Navy E-07 !Chief Boatswain's Mate aboard the USS Marblehead, Battle of Cienfuegos, Cuba 000000001898-05-11-0000May 11, 1898 For setting an example of extraordinary bravery and coolness under fire. Berg, GeorgeGeorge Berg Army E-01 !Private Battle of El Caney, Cuba 000000001898-07-01-0000Jul 1, 1898 For assisting in the rescue of the wounded while under heavy fire. Beyer, AlbertAlbert Beyer Navy E-04 !Coxswain aboard the USS Nashville, Battle of Cienfuegos, Cuba 000000001898-05-11-0000May 11, 1898 For setting an example of extraordinary bravery and coolness under fire. Blume, RobertRobert Blume Navy E-03 !Seaman aboard the USS Nashville, Battle of Cienfuegos, Cuba 000000001898-05-11-0000May 11, 1898 For setting an example of extraordinary bravery and coolness under fire. Brady, George F.George F. Brady Navy E-07 !Chief Gunner's Mate aboard the USS Winslow, Battle of Cárdenas, Cuba 000000001898-05-11-0000May 11, 1898 On board the torpedo boat Winslow during the actions at Cardenas, Cuba, 11 May 1898. Bright, George W.George W. Bright Navy E-01 !Coal Passer aboard the USS Nashville, Battle of Cienfuegos, Cuba 000000001898-05-11-0000May 11, 1898 For setting an example of extraordinary bravery and coolness under fire. Brookin, OscarOscar Brookin Army E-01 !Private Battle of El Caney, Cuba 000000001898-07-01-0000Jul 1, 1898 For assisting in the rescue of the wounded while under heavy fire. Buzzard, Ulysses G.Ulysses G. Buzzard Army E-04 !Corporal Battle of El Caney, Cuba 000000001898-07-01-0000Jul 1, 1898 For assisting in the rescue of the wounded while under heavy fire. Campbell, DanielDaniel Campbell Marine Corps E-01 !Private aboard the USS Marblehead, Battle of Cienfuegos, Cuba 000000001898-05-11-0000May 11, 1898 On board the U.S.S.Marblehead during the cutting of the cable leading from Cienfuegos, Cuba, 11 May 1898. Cantrell, Charles P.Charles P. Cantrell Army E-01 !Private Santiago, Cuba 000000001898-07-01-0000Jul 1, 1898 For assisting in the rescue of the wounded while under heavy fire. Carter, Joseph E.Joseph E. Carter Navy E-06 !Blacksmith aboard the USS Marblehead, Battle of Cienfuegos, Cuba 000000001898-05-11-0000May 11, 1898 For setting an example of extraordinary bravery and coolness under fire. Cavanaugh, ThomasThomas Cavanaugh Navy E-03 !Fireman First Class aboard the USS Potomac from Cat Island to Nassau 000000001898-11-14-0000Nov 14, 1898 On board the U.S.S.Potomac during the passage of that vessel from Cat Island to Nassau, 14 November 1898. Chadwick, LeonardLeonard Chadwick Navy E-02 !Apprentice First Class aboard the USS Marblehead, Battle of Cienfuegos, Cuba 000000001898-05-11-0000May 11, 1898 On board the U.S.S.Marblehead during the operation of cutting the cable leading from Cienfuegos, Cuba, 11 May 1898. Charrette, GeorgeGeorge Charrette Navy E-06 !Gunner's Mate First Class USS Merrimac, harbor of Santiago de Cuba 000000001898-06-02-0000Jun 2, 1898 For displaying extraordinary heroism while under heavy fire from Spanish batteries. Church, James R.James R. Church Army O-03 !Assistant Surgeon Las Guasimas, Cuba 000000001898-06-24-0000Jun 24, 1898 In addition to performing gallantly the duties pertaining to his position, voluntarily and unaided carried several seriously wounded men from the firing line to a secure position in the rear, each instance being subjected to a very heavy fire and great exposure and danger. Clausen, Claus K. R.Claus K. R. Clausen Navy E-04 !Coxswain USS Merrimac, harbor of Santiago de Cuba 000000001898-06-02-0000Jun 2, 1898 For displaying extraordinary heroism while under heavy fire from Spanish batteries. Cooney, Thomas C.Thomas C. Cooney Navy E-07 !Chief Machinist aboard the USS Winslow, Battle of Cárdenas, Cuba 000000001898-05-11-0000May 11, 1898 On board the U.S.Torpedo Boat Winslow during the action at Cardenas, Cuba, 11 May 1898. Crouse, William A.William A. Crouse Navy E-06 !Watertender aboard the USS Concord off Cavite, Manila Bay, Philippine Islands 000000001898-05-21-0000May 21, 1898 On board the U.S.S.Concord off Cavite, Manila Bay, P.I., 21 May 1898. Cummins, Andrew J.Andrew J. Cummins Army E-05 !Sergeant Santiago, Cuba 000000001898-07-01-0000Jul 1, 1898 For assisting in the rescue of the wounded while under heavy fire. Davis, JohnJohn Davis Navy E-04 !Gunner's Mate Third Class aboard U.S.S.Marblehead, Battle of Cienfuegos, Cuba 000000001898-05-11-0000May 11, 1898 On board the U.S.S. Marblehead, during the operation of cutting the cable leading from Cienfuegos, Cuba, 11 May 1898. De Swan, John F.John F. De Swan Army E-01 !Private Santiago, Cuba 000000001898-07-01-0000Jul 1, 1898 For assisting in the rescue of the wounded while under heavy fire. Deignan, OsbornOsborn Deignan Navy E-04 !Coxswain USS Merrimac, harbor of Santiago de Cuba 000000001898-06-02-0000Jun 2, 1898 For displaying extraordinary heroism while under heavy fire from Spanish batteries. Doherty, Thomas M.Thomas M. Doherty Army E-04 !Corporal Santiago, Cuba 000000001898-07-01-0000Jul 1, 1898 For assisting in the rescue of the wounded while under heavy fire. Doran, John J.John J. Doran Navy E-05 !Boatswain's Mate Second Class aboard the USS Marblehead, Battle of Cienfuegos, Cuba 000000001898-05-11-0000May 11, 1898 For setting an example of extraordinary bravery and coolness under fire. 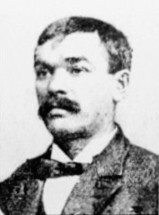 Durney, Austin J.Austin J. Durney Navy E-06 !Blacksmith aboard the USS Nashville, Battle of Cienfuegos, Cuba 000000001898-05-11-0000May 11, 1898 For setting an example of extraordinary bravery and coolness under fire. Eglit, JohnJohn Eglit Navy E-03 !Seaman aboard the USS Nashville, Battle of Cienfuegos, Cuba 000000001898-05-11-0000May 11, 1898 For setting an example of extraordinary bravery and coolness under fire. Ehle, John W.John W. Ehle Navy E-03 !Fireman First Class aboard the USS Concord off Cavite, Manila Bay, Philippine Islands 000000001898-05-21-0000May 21, 1898 On board the U.S.S. Concord off Cavite, Manila Bay, Philippine Islands, 21 May 1898. Erickson, NickNick Erickson Navy E-04 !Coxswain aboard the USS Marblehead, Battle of Cienfuegos, Cuba 000000001898-05-11-0000May 11, 1898 On board the U.S.S. Marblehead during the operation of cutting the cable leading from Cienfuegos, Cuba, 11 May 1898. Field, Oscar W.Oscar W. Field Marine Corps E-01 !Private aboard the USS Nashville, Battle of Cienfuegos, Cuba 000000001898-05-11-0000May 11, 1898 For setting an example of extraordinary bravery and coolness under fire. Fitzgerald, JohnJohn Fitzgerald Marine Corps E-01 !Private Cuzco, Cuba 000000001898-06-14-0000Jun 14, 1898 For heroism and gallantry in action. Foss, Herbert L.Herbert L. Foss Navy E-03 !Seaman aboard the USS Marblehead, Battle of Cienfuegos, Cuba 000000001898-05-11-0000May 11, 1898 For setting an example of extraordinary bravery and coolness under fire. Fournia, Frank O.Frank O. Fournia Army E-01 !Private Santiago, Cuba 000000001898-07-01-0000Jul 1, 1898 For assisting in the rescue of the wounded while under heavy fire. Franklin, Joseph J.Joseph J. Franklin Marine Corps E-01 !Private aboard the USS Nashville, Battle of Cienfuegos, Cuba 000000001898-05-11-0000May 11, 1898 On board the U.S.S. Nashville during the operation of cutting the cable leading from Cienfuegos, Cuba, 11 May 1898. Gaughan, PhilipPhilip Gaughan Marine Corps E-05 !Sergeant aboard the USS Nashville, Battle of Cienfuegos, Cuba 000000001898-05-11-0000May 11, 1898 For setting an example of extraordinary bravery and coolness under fire. Gibbons, MichaelMichael Gibbons Navy E-05 !Oiler aboard the USS Nashville near Cienfugos, Cuba 000000001898-05-11-0000May 11, 1898 For setting an example of extraordinary bravery and coolness under fire. Gill, FreemanFreeman Gill Navy E-06 !Gunner's Mate First Class aboard the USS Marblehead, Battle of Cienfuegos, Cuba 000000001898-05-11-0000May 11, 1898 For setting an example of extraordinary bravery and coolness under fire. Graves, Thomas J.Thomas J. Graves Army E-01 !Private Battle of El Caney, Cuba 000000001898-07-01-0000Jul 1, 1898 For assisting in the rescue of the wounded while under heavy fire. Hardaway, Benjamin F.Benjamin F. Hardaway Army O-02 !First Lieutenant Battle of El Caney, Cuba 000000001898-07-01-0000Jul 1, 1898 For assisting in the rescue of the wounded while under heavy fire. Hart, WilliamWilliam Hart Navy E-06 !Machinist First Class aboard the USS Marblehead, Battle of Cienfuegos, Cuba 000000001898-05-11-0000May 11, 1898 For setting an example of extraordinary bravery and coolness under fire. Heard, John WilliamJohn William Heard Army O-02 !First Lieutenant Mouth of Manimani River, west of Bahia Honda, Cuba 000000001898-07-23-0000Jul 23, 1898 After 2 men had been shot down by Spaniards while transmitting orders to the engine-room on the Wanderer, the ship having become disabled, this officer took the position held by them and personally transmitted the orders, remaining at his post until the ship was out of danger. Hendrickson, HenryHenry Hendrickson Navy E-03 !Seaman aboard the USS Marblehead, Battle of Cienfuegos, Cuba 000000001898-05-11-0000May 11, 1898 For displaying extraordinary bravery and coolness under fire. Hill, FrankFrank Hill Marine Corps E-01 !Private aboard the USS Nashville, Battle of Cienfuegos, Cuba 000000001898-05-11-0000May 11, 1898 For displaying extraordinary bravery and coolness under fire. Hoban, ThomasThomas Hoban Navy E-04 !Coxswain aboard the USS Nashville, Battle of Cienfuegos, Cuba 000000001898-05-11-0000May 11, 1898 For displaying extraordinary bravery and coolness under fire. Hobson, Richmond P.Richmond P. Hobson Navy O-03 !Lieutenant USS Merrimac, harbor of Santiago de Cuba 000000001898-06-03-0000Jun 3, 1898 In connection with the sinking of the U.S.S. Merrimac at the entrance to the fortified harbor of Santiago de Cuba, 3 June 1898. Hull, James L.James L. Hull Navy E-03 !Fireman First Class aboard the USS Concord off Cavite, Manila Bay, Philippine Islands 000000001898-05-21-0000May 21, 1898 On board the U.S.S. Concord off Cavite, Manila Bay, Philippine Islands, 21 May 1898. Itrich, Franz A.Franz A. Itrich Navy E-07 !Chief Carpenter's Mate aboard the USS Petrel, Manila, Philippine Islands 000000001898-05-01-0000May 1, 1898 Serving in the presence of the enemy, Itrich displayed heroism during the action. Jardine, AlexanderAlexander Jardine Navy E-03 !Fireman First Class aboard the USS Potomac from Cat Island to Nassau 000000001898-11-14-0000Nov 14, 1898 On board the U.S.S. Potomac during the passage of that vessel from Cat Island to Nassau, 14 November 1898. Johanson, John P.John P. Johanson Navy E-03 !Seaman aboard the USS Marblehead, Battle of Cienfuegos, Cuba 000000001898-05-11-0000May 11, 1898 On board the U.S.S. Marblehead during the operation of cutting the cable leading from Cienfuegos, Cuba, 11 May 1898. Johansson, Johan J.Johan J. Johansson Navy E-02 !Ordinary Seaman aboard the USS Nashville, Battle of Cienfuegos, Cuba 000000001898-05-11-0000May 11, 1898 On board the U.S.S. Nashville during the operation of cutting the cable leading from Cienfuegos, Cuba, 11 May 1898. Johnsen, HansHans Johnsen Navy E-07 !Chief Machinist aboard the USS Winslow, Battle of Cárdenas, Cuba 000000001898-05-11-0000May 11, 1898 On board the torpedo boat Winslow during the action at Cardenas, Cuba, 11 May 1898. Johnson, PeterPeter Johnson Navy E-03 !Fireman First Class aboard the USS Vixen 000000001898-05-28-0000May 28, 1898 On board the U.S.S. Vixen on the night of 28 May 1898. Kearney, MichaelMichael Kearney Marine Corps E-01 !Private aboard the USS Nashville, Battle of Cienfuegos, Cuba 000000001898-05-11-0000May 11, 1898 For setting an example of extraordinary bravery and coolness under fire. Keefer, Philip B.Philip B. Keefer Navy E-06 !Coppersmith aboard the USS Iowa off Santiago de Cuba 000000001898-07-20-0000Jul 20, 1898 On board the U.S.S. Iowa off Santiago de Cuba, 20 July 1898. Keller, WilliamWilliam Keller Army E-01 !Private Santiago de Cuba 000000001898-07-01-0000Jul 1, 1898 For assisting in the rescue of the wounded while under heavy fire. Kelly, FrancisFrancis Kelly Navy E-06 !Watertender USS Merrimac, harbor of Santiago de Cuba 000000001898-06-02-0000Jun 2, 1898 For displaying extraordinary heroism while under heavy fire from Spanish batteries. Kelly, ThomasThomas Kelly Army E-01 !Private Santiago de Cuba 000000001898-07-01-0000Jul 1, 1898 For assisting in the rescue of the wounded while under heavy fire. Kramer, FranzFranz Kramer Navy E-03 !Seaman aboard the USS Marblehead, Battle of Cienfuegos, Cuba 000000001898-05-11-0000May 11, 1898 For setting an example of extraordinary bravery and coolness under fire. Krause, ErnestErnest Krause Navy E-04 !Coxswain aboard the USS Nashville, Battle of Cienfuegos, Cuba 000000001898-05-11-0000May 11, 1898 For displaying extraordinary bravery and coolness under fire. Kuchneister, Hermann W.Hermann W. Kuchneister Marine Corps E-01 !Private aboard the USS Marblehead, Battle of Cienfuegos, Cuba 000000001898-05-11-0000May 11, 1898 For displaying extraordinary bravery and coolness under fire. Lee, FitzFitz Lee Army E-01 !Private Tayabacoa, Cuba 000000001898-06-30-0000Jun 30, 1898 Voluntarily went ashore in the face of the enemy and aided in the rescue of his wounded comrades; this after several previous attempts had been frustrated. Levery, WilliamWilliam Levery Navy E-02 !Apprentice First Class aboard the USS Marblehead, Battle of Cienfuegos, Cuba 000000001898-05-11-0000May 11, 1898 For displaying extraordinary bravery and coolness under fire. MacNeal, Harry L.Harry L. MacNeal Marine Corps E-01 !Private aboard the USS Brooklyn (CA-3), Battle of Santiago de Cuba 000000001898-07-03-0000Jul 3, 1898 For displaying gallantry while under fire. Mager, George F.George F. Mager Navy E-02 !Apprentice First Class aboard the USS Marblehead, Battle of Cienfuegos, Cuba 000000001898-05-11-0000May 11, 1898 For displaying extraordinary bravery and coolness under fire. Mahoney, GeorgeGeorge Mahoney Navy E-03 !Fireman First Class aboard the USS Vixen 000000001898-05-28-0000May 28, 1898 On board the U.S.S. Vixen on the night of 28 May 1898. Following the explosion of the lower front manhole gasket of boiler A of that vessel, Mahoney displayed great coolness and self-possession in entering the fireroom. Maxwell, JohnJohn Maxwell Navy E-02 !Fireman Second Class aboard the USS Marblehead, Battle of Cienfuegos, Cuba 000000001898-05-11-0000May 11, 1898 For displaying extraordinary bravery and coolness under fire. Meredith, JamesJames Meredith Marine Corps E-01 !Private aboard the USS Marblehead, Battle of Cienfuegos, Cuba 000000001898-05-11-0000May 11, 1898 For displaying extraordinary bravery and coolness under fire.Name changed to Patrick F.Ford, Jr.
Meyer, WilliamWilliam Meyer Navy E-04 !Carpenter's Mate Third Class aboard the USS Nashville, Battle of Cienfuegos, Cuba 000000001898-05-11-0000May 11, 1898 For displaying extraordinary bravery and coolness through this action. Miller, Harry H.Harry H. Miller Navy E-03 !Seaman aboard the U.S.S.Nashville, Battle of Cienfuegos, Cuba 000000001898-05-11-0000May 11, 1898 On board the U.S.S. Nashville, during the operation of cutting the cable leading from Cienfuegos, Cuba, 11 May 1898. Miller, WillardWillard Miller Navy E-03 !Seaman aboard the USS Nashville, Battle of Cienfuegos, Cuba 000000001898-05-11-0000May 11, 1898 For displaying extraordinary bravery and coolness under fire. Mills, Albert LeopoldAlbert Leopold Mills Army O-03 !Captain and Assistant Adjutant General Near Santiago, Cuba 000000001898-07-01-0000Jul 1, 1898 Distinguished gallantry in encouraging those near him by his bravery and coolness after being shot through the head and entirely without sight. Montague, DanielDaniel Montague Navy E-07 !Chief Master-at-Arms USS Merrimac, harbor of Santiago de Cuba 000000001898-06-02-0000Jun 2, 1898 For displaying extraordinary heroism while under heavy fire from Spanish batteries. Morin, William H.William H. Morin Navy E-05 !Boatswain's Mate Second Class aboard the USS Marblehead at the approaches to Caimanera, Guantanamo Bay, Cuba 000000001898-07-26-0000Jul 26, 1898 – 000000001898-07-27-0000Jul 27, 1898 On board the U.S.S. Marblehead at the approaches to Caimanera, Guantanamo Bay, Cuba, 26 and 27 July 1898. Muller, FrederickFrederick Muller Navy E-10 !Mate aboard the USS Wompatuck, First Battle of Manzanillo, Cuba 000000001898-06-30-0000Jun 30, 1898 For displaying heroism and gallantry under fire. Murphy, John E.John E. Murphy Navy E-04 !Coxswain USS Merrimac, harbor of Santiago de Cuba 000000001898-06-02-0000Jun 2, 1898 For displaying extraordinary heroism while under heavy fire from Spanish batteries. Nash, James J.James J. Nash Army E-01 !Private Santiago, Cuba 000000001898-07-01-0000Jul 1, 1898 For assisting in the rescue of the wounded while under heavy fire. Nee, George H.George H. Nee Army E-01 !Private Santiago, Cuba 000000001898-07-01-0000Jul 1, 1898 For assisting in the rescue of the wounded while under heavy fire. Nelson, LauritzLauritz Nelson Navy E-06 !Sailmaker's Mate aboard the USS Nashville, Battle of Cienfuegos, Cuba 000000001898-05-11-0000May 11, 1898 For displaying extraordinary bravery and coolness under fire. Oakley, WilliamWilliam Oakley Navy E-05 !Gunner's Mate Second Class aboard the USS Marblehead, Battle of Cienfuegos, Cuba 000000001898-05-11-0000May 11, 1898 For displaying extraordinary bravery and coolness under fire. Olsen, AntonAnton Olsen Navy E-02 !Ordinary Seaman aboard the USS Marblehead, Battle of Cienfuegos, Cuba 000000001898-05-11-0000May 11, 1898 For displaying extraordinary bravery and coolness under fire. Parker, PomeroyPomeroy Parker Marine Corps E-01 !Private aboard the USS Nashville, Battle of Cienfuegos, Cuba 000000001898-05-11-0000May 11, 1898 For displaying extraordinary bravery and coolness under fire. Penn, RobertRobert Penn Navy E-03 !Fireman First Class aboard the USS Iowa off Santiago de Cuba 000000001898-07-20-0000Jul 20, 1898 On board the U.S.S. Iowa off Santiago de Cuba, 20 July 1898. Pfisterer, HermanHerman Pfisterer Army E-02 !Musician Santiago, Cuba 000000001898-07-01-0000Jul 1, 1898 For assisting in the rescue of the wounded while under heavy fire. Phillips, George F.George F. Phillips Navy E-06 !Machinist First Class USS Merrimac, harbor of Santiago de Cuba 000000001898-06-02-0000Jun 2, 1898 For displaying extraordinary heroism while under heavy fire from Spanish batteries. Polond, AlfredAlfred Polond Army E-01 !Private Santiago, Cuba 000000001898-07-01-0000Jul 1, 1898 For assisting in the rescue of the wounded while under heavy fire. Quick, John H.John H. Quick Marine Corps E-05 !Sergeant battle of Cuzco, Cuba 000000001898-06-14-0000Jun 14, 1898 Quick signaled the USS Dolphin on 3 different occasions while exposed to a heavy fire from the enemy. Quinn, Alexander M.Alexander M. Quinn Army E-05 !Sergeant Santiago, Cuba 000000001898-07-01-0000Jul 1, 1898 For assisting in the rescue of the wounded while under heavy fire. Ressler, Norman W.Norman W. Ressler Army E-04 !Corporal Battle of El Caney, Cuba 000000001898-07-01-0000Jul 1, 1898 For assisting in the rescue of the wounded while under heavy fire. Rilley, John P.John P. Rilley Navy E-01 !Landsman aboard the USS Nashville, Battle of Cienfuegos, Cuba 000000001898-05-11-0000May 11, 1898 For displaying extraordinary bravery and coolness under fire. Roberts, Charles DuValCharles DuVal Roberts Army O-01 !Second Lieutenant Battle of El Caney, Cuba 000000001898-07-01-0000Jul 1, 1898 For assisting in the rescue of the wounded while under heavy fire. Roosevelt, TheodoreTheodore Roosevelt* Army O-05 !Lieutenant Colonel Battle of San Juan Hill, near Santiago de Cuba 000000001898-07-01-0000Jul 1, 1898 For leading a daring charge up San Juan Hill. Was awarded by President Bill Clinton on January 16, 2001. The only President to earn the Medal of Honor. Russell, Henry P.Henry P. Russell Navy E-01 !Landsman aboard the USS Marblehead, Battle of Cienfuegos, Cuba 000000001898-05-11-0000May 11, 1898 For displaying extraordinary bravery and coolness under fire. Scott, Joseph F.Joseph F. Scott Marine Corps E-01 !Private aboard the USS Nashville, Battle of Cienfuegos, Cuba 000000001898-05-11-0000May 11, 1898 For displaying extraordinary bravery and coolness under fire. Shepherd, Warren J.Warren J. Shepherd Army E-04 !Corporal Battle of El Caney, Cuba 000000001898-07-01-0000Jul 1, 1898 For assisting in the rescue of the wounded while under heavy fire. Spicer, WilliamWilliam Spicer Navy E-06 !Gunner's Mate First Class aboard the USS Marblehead at the approaches to Caimanera, Guantanamo Bay, Cuba 000000001898-07-26-0000Jul 26, 1898 – 000000001898-07-27-0000Jul 27, 1898 On board the U.S.S. Marblehead at the approaches to Caimanera, Guantanamo Bay, Cuba, 26 and 27 July 1898. Sullivan, EdwardEdward Sullivan Marine Corps E-01 !Private aboard the USS Marblehead, Battle of Cienfuegos, Cuba 000000001898-05-11-0000May 11, 1898 For displaying extraordinary bravery and coolness under fire. Sundquist, AxelAxel Sundquist Navy E-07 !Chief Carpenter's Mate aboard the USS Marblehead at the approaches to Caimanera, Guantanamo Bay, Cuba 000000001898-07-26-0000Jul 26, 1898 – 000000001898-07-27-0000Jul 27, 1898 On board the U.S.S. Marblehead at the approaches to Caimanera, Guantanamo Bay, Cuba, 26 and 27 July 1898. Sundquist, Gustav A.Gustav A. Sundquist Navy E-02 !Ordinary Seaman aboard the USS Nashville, Battle of Cienfuegos, Cuba 000000001898-05-11-0000May 11, 1898 For displaying extraordinary bravery and coolness under fire. Thompkins, William H.William H. Thompkins Army E-01 !Private Tayabacoa, Cuba 000000001898-06-30-0000Jun 30, 1898 Voluntarily went ashore in the face of the enemy and aided in the rescue of his wounded comrades; this after several previous attempts at rescue had been frustrated. Triplett, SamuelSamuel Triplett Navy E-02 !Ordinary Seaman aboard the USS Marblehead at the approaches to Caimanera, Guantanamo Bay, Cuba 000000001898-07-26-0000Jul 26, 1898 – 000000001898-07-27-0000Jul 27, 1898 On board the U.S.S. Marblehead at the approaches to Caimanera, Guantanamo Bay, Cuba, 26 and 27 July 1898. Displaying heroism, Triplett took part in the perilous work of sweeping for and disabling 27 contact mines during this period. Vadas, AlbertAlbert Vadas Navy E-03 !Seaman aboard the USS Marblehead, Battle of Cienfuegos, Cuba 000000001898-05-11-0000May 11, 1898 For displaying extraordinary bravery and coolness under fire.Name changed to Albert Wadas. Van Etten, HudsonHudson Van Etten Navy E-03 !Seaman aboard the USS Nashville, Battle of Cienfuegos, Cuba 000000001898-05-11-0000May 11, 1898 For displaying extraordinary bravery and coolness under fire. Volz, RobertRobert Volz Navy E-03 !Seaman aboard the USS Nashville, Battle of Cienfuegos, Cuba 000000001898-05-11-0000May 11, 1898 For displaying extraordinary bravery and coolness under fire. Wanton, George H.George H. Wanton Army E-01 !Private Tayabacoa, Cuba 000000001898-06-30-0000Jun 30, 1898 Voluntarily went ashore in the face of the enemy and aided in the rescue of his wounded comrades; this after several previous attempts at rescue had been frustrated. Welborn, Ira ClintonIra Clinton Welborn Army O-01 !Second Lieutenant Santiago, Cuba 000000001898-07-02-0000Jul 2, 1898 Voluntarily left shelter and went, under fire, to the aid of a private of his company who was wounded. Wende, BrunoBruno Wende Army E-01 !Private Battle of El Caney, Cuba 000000001898-07-01-0000Jul 1, 1898 For assisting in the rescue of the wounded while under heavy fire. West, Walter S.Walter S. West Marine Corps E-01 !Private aboard the USS Marblehead, Battle of Cienfuegos, Cuba 000000001898-05-11-0000May 11, 1898 For displaying extraordinary bravery and coolness under fire. Wilke, Julius A. R.Julius A. R. Wilke Navy E-06 !Boatswain's Mate First Class aboard the USS Marblehead, Battle of Cienfuegos, Cuba 000000001898-05-11-0000May 11, 1898 For displaying extraordinary bravery and coolness under fire. Williams, FrankFrank Williams Navy E-03 !Seaman aboard the USS Marblehead, Battle of Cienfuegos, Cuba 000000001898-05-11-0000May 11, 1898 For displaying extraordinary bravery and coolness under fire. ↑ "The Price of Freedom: Americans at War — Spanish American War". National Museum of American History. 2005. http://americanhistory.si.edu/militaryhistory/printable/section.asp?id=7. ↑ "A Brief History — The Medal of Honor". Frequently Asked Questions (FAQ). Department of Defense. August 8, 2006. http://www.defenselink.mil/faq/pis/med_of_honor.html. Retrieved February 9, 2010. ↑ "Medal of Honor recipients". Spanish-American War. United States Army Center of Military History. June 8, 2009. http://www.history.army.mil/html/moh/warspain.html. Retrieved June 29, 2009. "Who's Who list of Marines". Who's Who in Marine Corps History. History Division, United States Marine Corps. http://www.tecom.usmc.mil/HD/Whos_Who.htm. Retrieved July 24, 2008. "Medal of Honor recipients". Medal of Honor statistics. United States Army Center of Military History. June 8, 2009. http://www.history.army.mil/html/moh/mohstats.html. Retrieved June 29, 2009.